Not much news from the patch as I haven't had time to go there. I did manage an hour on Saturday and added oystercatcher and pintail to the year list. We've had some details of some ringing recoveries back from the BTO lately. One of which was blackcap, which we ringed on 27th August 2014, as a juvenile male. It was caught by ringers in Landes, France only 29 days later. It had covered a distance of 1251km. We had another French recovery, a sand martin, ringed at Lynemouth Sewage Works. It was one of only two we caught this year, we ringed it as breeding female with brood patch on 20th May 2014 and it was controlled by a ringer at Etang de la Horre, Lentilles on 24th August. We also had details back of three storm petrels we controlled at Druridge during the summer. 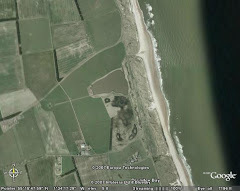 Most of the other recoveries predictably came from Hauxley. A great-spotted woodpecker we caught at Druridge on 17th October was caught at the Bamburgh Ringing Station only 12 days later on 29th October. 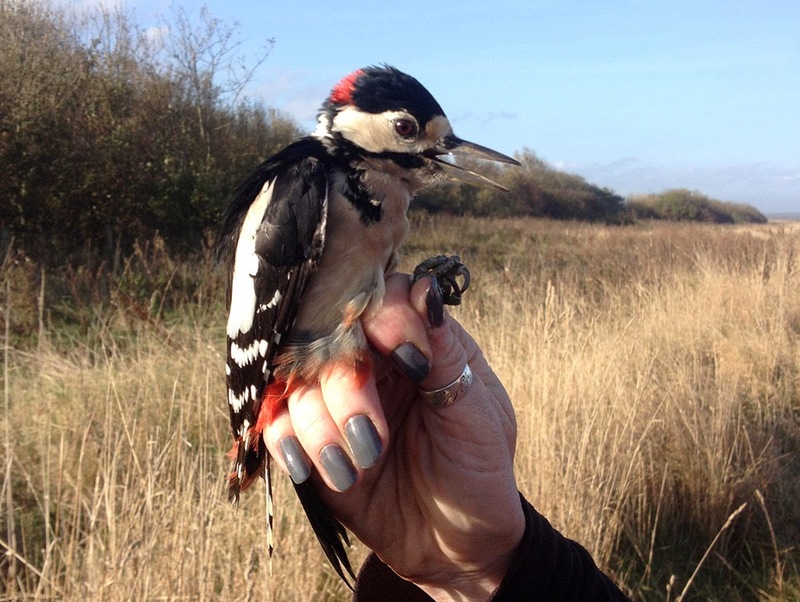 A great-spotted woodpecker, ringed at Druridge on 17th October and caught at Bamburgh on 29th October. Really interesting to see that Blackcap data ! Roppa I like the nail varnish...You're so money supermarket!